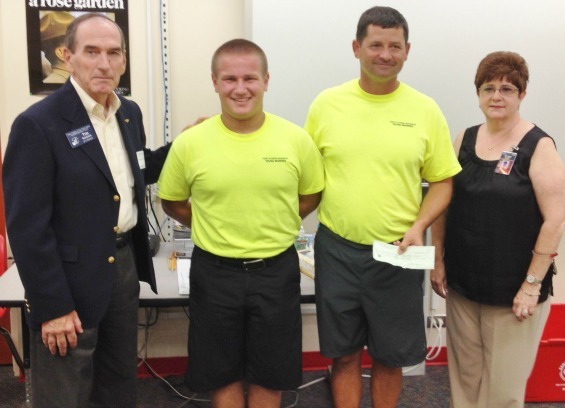 The Venice (Florida) Middle School Young Marines, a one-of-a-kind program, received another $250 check from the Sarasota - Manatee Council on May 1, and are planning to put it to good use: Later this month over 60 of the Young Marines will be traveling to Washington, D.C., where they will march in the National Memorial Day parade. The Venice Middle School YM program is the only such program sanctioned by the Marine Corps at a public school in the U.S. The brainchild of the school’s principal, Dr. Karin Schmidt, the program started in 2012 in response to a desire by local families to have a military-based program available to area students. 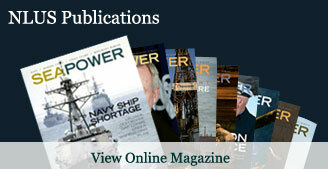 It focuses on the mental, moral and physical development of its members and promotes a healthy, drug-free life style. The Young Marines attend most of their classes as a unit, enrolling in their core academic classes (language arts, mathematics, science and social studies) and citizenship/leadership classes together, and they select an elective along with the rest of the VMS student body. They’re under the watchful eye of Major Mike Dubrule, USMC (ret), the unit commander, and four other adult staff instructors. 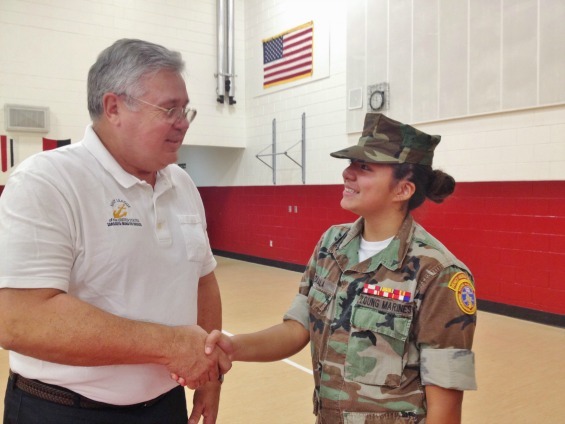 The Sarasota - Manatee Council is proud to be a partner with the Venice Middle School and their young Marines program, helping to mold their students into responsible leaders and citizens. 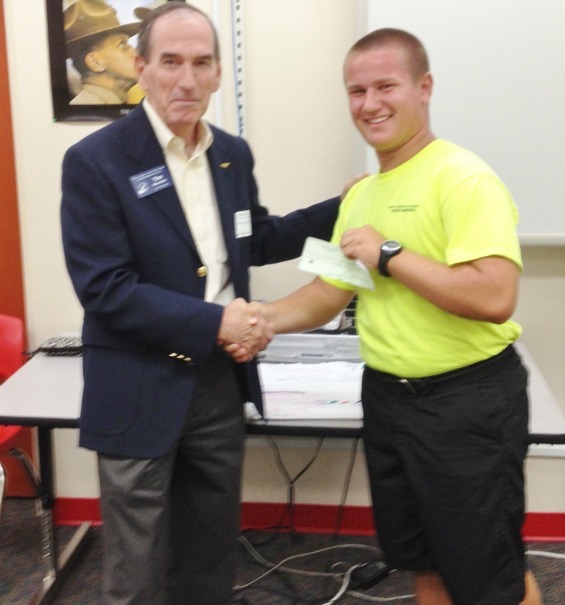 President Rocklein with Sergeant Alex Vischulis accepting the check for the unit. 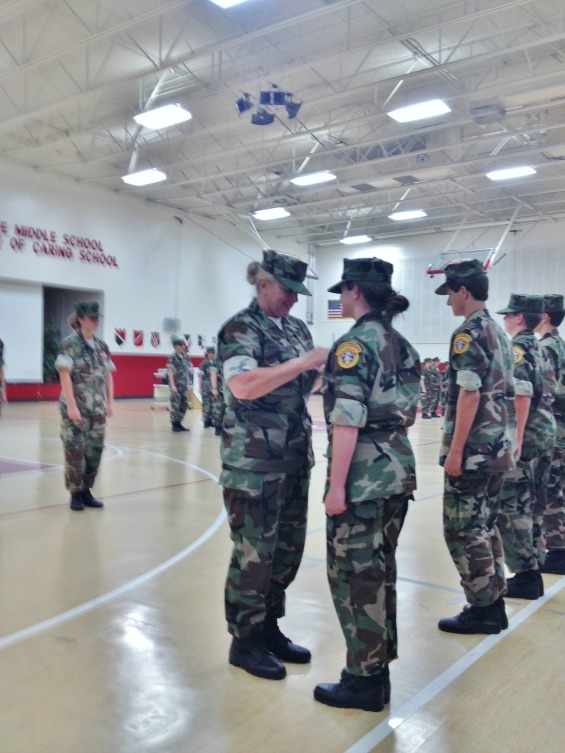 On Friday night, March 21, the Venice Middle School (VMS) Young Marines held a Promotion Ceremony at 6 pm. 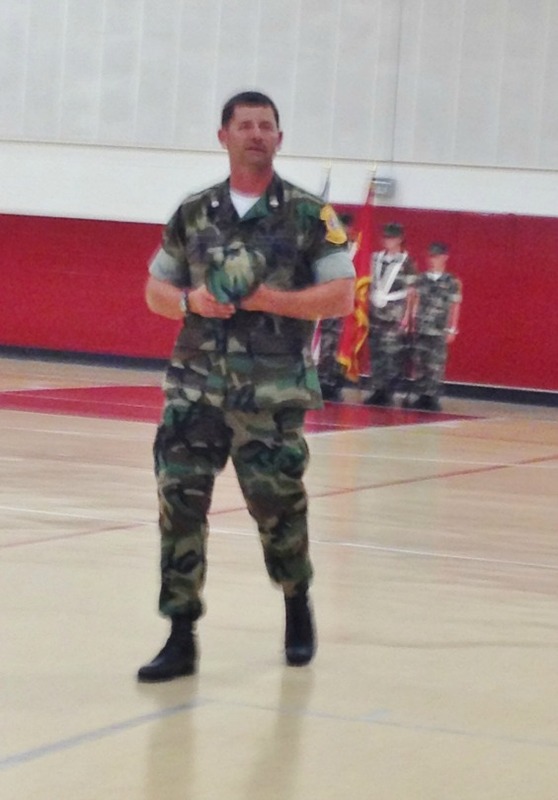 The entire unit of three platoons(about 80) was formed smartly in the VMS Gym in crisp fatigues. Over 100 parents were in attendance. Major Mike Dubrule USMC (Ret) made initial announcements and the Colors were presented with the National Anthem. A short video depicting VMS YM activities was shown after which promotions were presented to those YMs who had earned them. 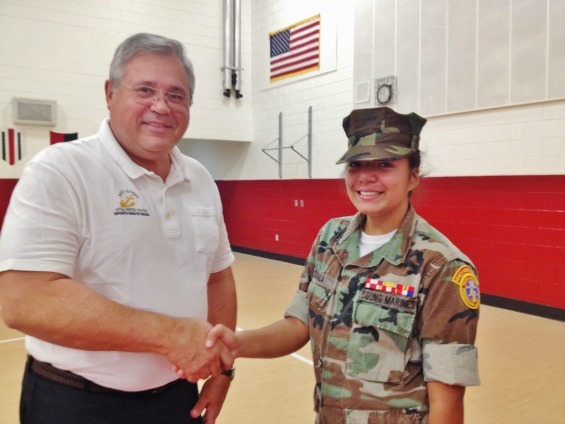 At the end Board Member Al Burda presented the 2014 Outstanding VMS Young Marine Award to YM Corporal Pamela Zavala. 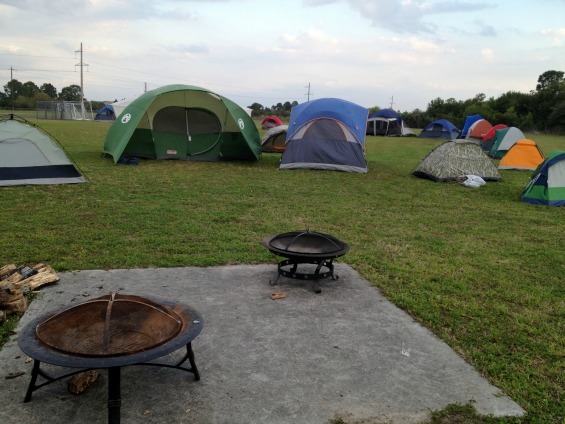 The entire unit camped out on the VMS grounds that night.